Grew Up… in southern California with her single father, Hal. Sam and Hall were always extremely close, and Sam had a great childhood until a fatal earthquake that killed her father. Sam was left in the care of her father’s new wife, Fiona. Living… with her (evil) stepmother, Fiona, and her (evil) stepsisters, Brianna and Gabriella. Sam is forced to complete all of the household chores, and she is often bossed around and insulted by her stepfamily. Visiting… Fiona’s Diner, which has been renamed and redecorated since Fiona inherited Hal’s local sports diner. Sam is forced to work in the establishment, where she finds a mentor in Rhonda, a fellow waitress. Interests… sports, fairytales, and Princeton. Sam becomes anonymous pen pals with Austin, and they bond over their desire to attend Princeton University, and their concerns that their family situations might not allow for it. 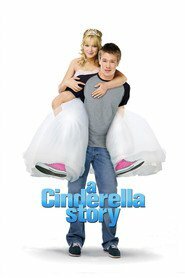 Relationship Status… crushing on Austin Ames, the popular and cute high school quarterback. Austin, as it turns out, is her secret Princeton-loving pen pal, but Sam ends up not revealing her identity to Austin because she doesn’t think he’ll accept her due to her outcast status. Challenge… getting into Princeton. Not only is the university a difficult one to gain acceptance to, but it’s also expensive, and Fiona is hardly willing to feed Sam, let alone give her tuition money. Luckily, Sam’s boldness ultimately allows her to find her father’s will and take what is rightfully hers, allowing her to escape her small town life and go on to better things – with her new boyfriend, Austin, of course. Personality… resilient, insecure, and a tomboy. Thanks to a difficult life with Fiona, Sam has little confidence when it comes to feeling accepted by her peers. Still, she has retained a sense of self-composure despite it all. Sam refuses to give in to Fiona’s taunts, always remembering her father’s guidance and staying true to who she is no matter what. Sam Montgomery's popularity ranking on CharacTour is #1593 out of 5,000+ characters. See our top-ranked characters and read their profiles.